The official Coachella 2012 lineup was released January 9. 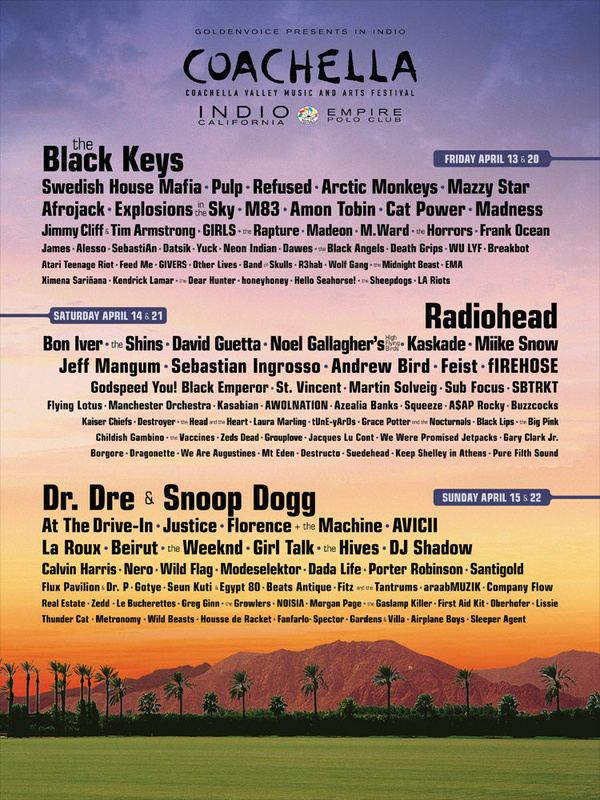 The Black Keys, Radiohead and Dr. Dre & Snoop will be headlining two consecutive weekends in April in Indio, CA. Coachella 2012, your line-up is showing. An official poster sent from the verified Twitter account of the Coachella Valley Music and Arts Festival on Monday afternoon both confirms and crushes another year of rumors. The Black Keys, Radiohead, and Dr. Dre & Snoop Dogg will be headlining the now six-day festival over two consecutive weekends in April on the Empire Polo Field in Indio, CA. The reveal, "psst... pass it on #Coachella2012," posted at 3:55 p.m. and read more like a whisper than a brash announcement. Smart move. Whispers always seem to travel faster. 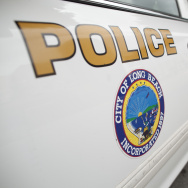 Should Coachella, Stagecoach music festivals go on despite impact? Indio says yes.